This happens all the time, and many of us consistently forget on how to manage our stress in a healthy manner. We have all had these moments, when we realize we’re running low on time, become impatient, drink coffee or energy drinks, more than what is required to sustain our sanity. It takes a toll on us eventually; physically, mentally, psychologically, socially, and spiritually. Hopefully, today’s post can help you manage future stressful situations, and possibly be a means in helping you help others deal with their own stress. These can, of course, be broken down into more sub-levels. For the purpose of the blog, let’s keep it simple and succinct. Each of us have different criteria, different circumstances for each of these categories. It’s important to note two major items. 1. 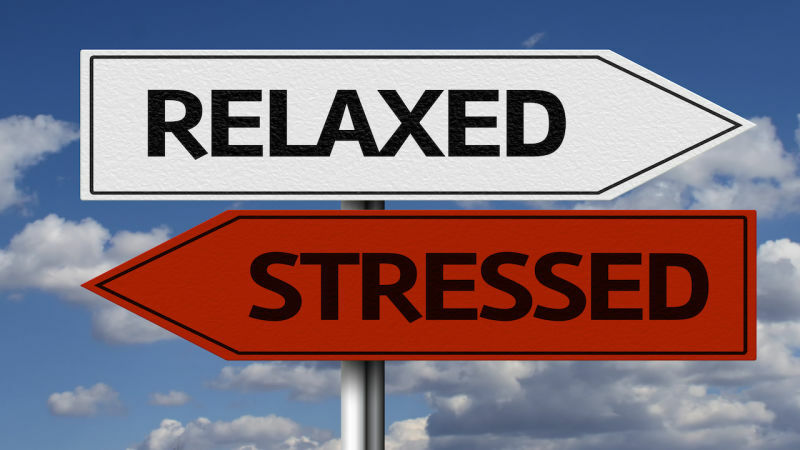 Everyone responds to stress differently! 2. Stress has several sizes. We don’t all wear the same size or carry the same load! Remember how I mentioned earlier, “drinking coffee?” That’s my specialty. Other methods people utilize (which is unhealthy) in responding to stress, are the “let’s have a Netflix marathon”, usually prefaced with “I am in the mood to watch several seasons of something. Anything so I don’t have to focus anymore!” It’s also very easy to stress eat; chips, soda, pizza, wings, and a tub of ice cream. No stress here, just some nourishment. NOT. We each respond to stress differently, and because we do, that means there is no “cure” or “one-answer” for everyone. Each of us requires a different method to combat and manage our stress. That list of four categories that cause stress in our lives – Guess what? You have the ability to manage those categories! “This is all great. Now tell me, how is this article going to help me manage my stress?” We are getting there, I promise. To understand how to manage your stress, you need to identify the causes and sources. If you walk into the doctor’s office, complaining that you’re sick, he or she will ask you, “What are you feeling? What are your symptoms?” The doctor needs to determine the cause of illness, in order to treat you appropriately. Same with stress. What are the sources of stress in my life? Again, I will refer back to those categories. Please don’t ever tell me that you have “tons of stuff” to do, or some extreme number. I have been there, I have tried that, it doesn’t work. That’s called an excuse. Take responsibility for your words and actions. Did I really have “tons of stuff?” Sure. Maybe at some point. Was it continuous? No. Could I have managed those moments in my life in a more organized manner that didn’t cause me to stress with an excuse? Definitely. Lesson – Don’t take on more than you can complete. I have been down that road before. The “yes” man. There is a line between obedience and being unreliable. Remember it. It also wouldn’t hurt to keep a diary or journal for yourself, to write your thoughts for the day, especially if you consistently have stressful thoughts. Write about your stress. Use your journal to help you focus on what caused the stress, how you felt, your response, and your action plan. Eventually, you will start to find patterns in your life and notice more about yourself. How do you currently handle stress? I will address the healthy options later in this same blog post. Many people deal with stress differently as we discussed – most of the time, in a very unhealthy manner. I knew many people in my previous jobs, and in college days, who would do a variety of unhealthy options. For one, this is where a “social drink” could develop into alcoholism. Many people I know did many of the following: Smoking. Drugs. Binge-Eating. Anger. Violence. Sleep. Couch Potato. Disengaging from any social relations. All of these are unhealthy options. Please, please refrain from doing any of this sort. This list can go on for all the unhealthy things. Yes, even things like repeatedly checking your iPhone, Facebook, Twitter, etc. Sometimes being plugged in too much is a stressor! You know for a while, I had this notion that “the good guys” in the Bible never stressed out. But under the guidance of my spiritual father, with better reading, and more understanding, I realized that almost everyone in the Bible was at some point, stressed out! Each one had their own method of managing stress, but ultimately it always came back to their relationship with God. Let’s take a look at a few examples with very brief summaries. – Moment of stress – After disobeying God and eating from the tree of knowledge of good and evil, Adam hears God in the Garden. His response? He runs, hides from God, and covers himself. – Coping Skill – Repented and followed God’s commandments by teaching the responsibilities to his children. – Moment of stress – About to enter Egypt, when he tells his wife that she is so beautiful, he is afraid the Egyptians will kill him and take her. – Unhealthy Coping Skill – He lied and said she was his sister, not his wife. – Healthy Coping Skill – Told the truth after God appeared to Pharaoh in a dream. – Moment(s) of stress – 1) Being sold by his brothers 2) Being sent to prison 3) Seeing his brothers after all these years. That’s a lot. Just thinking only about the brother part for now. Imagine being sold by your brothers, and then fast forward several years, you see them again, you recognize them, you have dinner with them. That must have been one difficult dinner! There is much more to the story of Joseph, but just giving a morsel here to chew on for now. But there was much weeping going on with Joseph and inner struggles. – Healthy Coping Skill – His relationship with God, and God’s abiding presence with him, allowing him to forgive his brothers. – Moment(s) of stress – 1) Left Egypt when two Hebrew people called him out on killing the Egyptian. In a panic, flees to Midian (resides there for 40 years, after having lived 40 years in Egypt). 2) Moses in front of the burning bush. Moses gives excuses, “they will not believe me, or listen to me,” “I am not eloquent, slow to speech.” He witnessed two miracles, one involving his staff, the other his hand, but still had the nerve to create excuses and to avoid responsibility. He eventually submits to the will of God. – Healthy Coping Skill – Moses is in the presence of God, and is being obedient. – Moment of stress – 1) Jethro (father-in-law) sees Moses from morning until night listening to people’s cases. Jethro in short tells him, you are going to burn-out. You can’t do this alone. He gives him wise advice on how to handle the cases. These are just a few examples from the Old Testament, we can definitely go into more – Gideon, Joseph the Carpenter, St. Peter, St. Paul, and countless others. Each person’s stressful situation was unique. In addition, how they responded to God, and how God responded to them was also unique to their situation as well! – Do a physical activity. 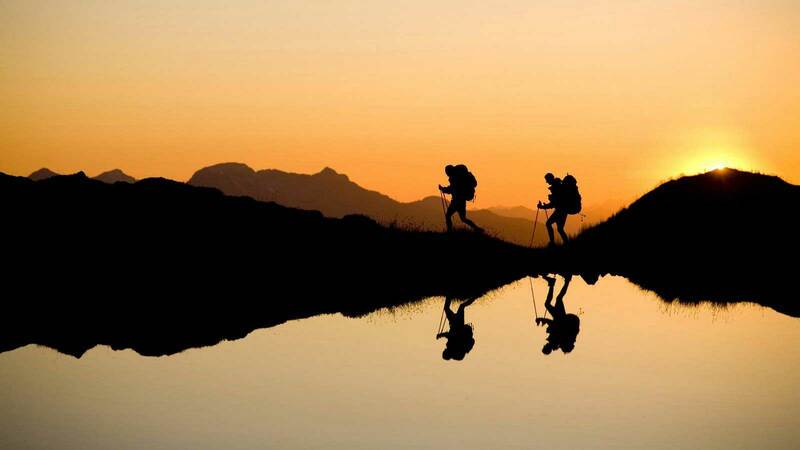 Go on a hike. Go kayaking. Go for a walk. Just GO! – Do something that helps you focus on your body and not your stressful thoughts. – Do confide in someone you feel is safe and trustworthy. – Speak with your spiritual father or confession father. – Don’t take on more than you can chew. – I personally avoid, as much as I can, to state my opinions on politics in a social media forum. I learned that lesson several times. It causes unnecessary chaos and stress. A Facebook wall or Twitter timeline isn’t the right place to discuss a political issue. – Build your spiritual life – Rise up from your busy life and pray! – Look for God in the stillness and quietness, not in the noise. – Go on a spiritual retreat. – Dedicate time to read and time to pray. – Share your feelings. Don’t bottle them up. – Express yourself. Learn to compromise. – Stuck in traffic? It’s not going to go away. Find an alternative to your anger. – In the grand scheme of life, is an extra portion of time really that upsetting? – Be realistic in goal-setting and expectations. – Don’t try to control points in your life. Let God be in the driver’s seat. – Teach yourself how to react and look for positives in people. – I mentioned I love coffee. This is really hypocritical of me, but minimize how much you drink. I am working on that. I am trying to limit myself to just 2 cups a day. It’s a work-in-progress, so it’s better than what I used to consume in a day. – We mentioned physical activity earlier on, but again to reiterate, find an activity that is not stressful for you. I play a mean game of Monopoly, and several other board games. I am very competitive. But sometimes, I just need to relax and play a fun board game, and not keep score. We all have a ball and chain in our lives called stress. I challenge you to lay your burdens on God, and let Him deal with your problems. The next time you pray, the next time you read, or attend a church service, think of how to make that moment different for yourself. Learn how to sit, be present, and wait for God. This blog-writing is a lot harder than I thought it would be. As I mentioned in my earlier blog post, “The Beginning of the Journey,” I decided to start writing, because I had this inner desire to share my thoughts and I do believe in the positive benefits of it. So here we are 4 blog posts in…and I recall that I said I would mention why I chose the name “Sojourner In This Place” for the blog. It does have much meaning to me which I will share in this week’s post. As for us, too, O Lord, keep our sojourn in this life without harm, without storm, and undisturbed to the end. And we, too, who are sojourners in this place, keep us in Your faith, and grant us Your peace unto the end. It’s clear and understood that the life we live is a temporary one. We live in a foreign land. Examine this excerpt of the Divine Liturgy; “keep us in Your faith.” Being strangers in this foreign land, one could assume, would cause us to question our beliefs, our faith, our hearts. We are praying that while in this foreign land, we are kept in His faith, and granted His peace unto the end. I want you to think back to how many times you may have moved in your life? Maybe to a different country, a different state, or city, or just next door to another home within the same city. No matter the case, in each situation of your move, you became a stranger in that land, that you were going to live at. There was a period of my life, where I would internally fight myself, because of constant movements in my life. It took lots of praying and growing up to realize, I am just a stranger in this world. Because I am a stranger in this world, because I go from place to place throughout my life, my constant prayer should be, “to be kept in the faith, to be granted peace.” Can you imagine if your faith fluctuated based on where you lived at? Maybe that already happens for some people. But it doesn’t have to happen to you anymore. Take control of your spirituality with guidance from your spiritual father. Why? Because there is a purpose and reason that you are in the land you are currently in. What does that even mean? Look at your life, from the perspective of a garden. I love gardening and I hope that one day, I would be able to have a full garden to rely on. Say you have a mint plant, or rosemary, or hydrangeas and you want more of them. What do you do? I will keep it simple. You basically cut a portion of the plant and plant it elsewhere in the garden. Over the course of time, that plant too will grow and be fruitful. This is how I envision being a sojourner in the world. We are here for a purpose in a strange land. As a Christian, with my citizenship in Heaven, the goal is to keep the faith wherever I go. I am reminded of our father Abraham, when God spoke to him and told him to leave and go somewhere else. How many times did Abraham’s life change? How many places did he sojourn? But no matter what happened, Abraham kept his faith in the Lord. If we are responsible for a specific service in the church and are asked to serve in another capacity, we are to keep the faith. If we have been relocated due to work or school, and find ourselves in a foreign land, we are to keep the faith. No matter what our role is in the church or in society, or wherever God leads us, we still have to keep the faith. We should do our best to preach the message of our Lord Jesus Christ to each and every single person that we interact with, as best we can. At the end of the day, I am just a sojourner in this place, awaiting to go home. Would You Like Me To Take Your Picture? Would you like me to take your picture? That’s how it started, one line, one question, one request. This past weekend, my wife and I were celebrating our five-year wedding anniversary. With all our responsibilities, we decided a small local weekend getaway would suffice this year. 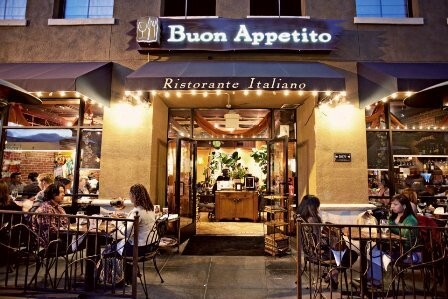 We enjoyed a wonderful day at the various parks playing with our son, and then at night, we went out to dinner at a small restaurant in Little Italy, called Buon Appetito followed by Pappalecco for dessert. Both are fantastic places if you are ever down in San Diego. Moving along with the story. I don’t necessarily believe in accidents or coincidences. I believe that everything happens according to God’s plan. For I know the thoughts that I think toward you, says the Lord, thoughts of peace and not of evil, to give you a future and a hope (Jeremiah 29:11). In that sense, no matter where you go in life, or whatever happens, or the interactions you may face, God has a plan. My wife and I were seated at the restaurant, patiently reviewing our menu and deciding what to order. As we were waiting and reminiscing about our first five years of marriage, an elderly couple were seated adjacent to our table. Side note: The spacing in the outdoor seating between tables is enough for the waiter/waitress to walk through, so your table is fairly close to others. As the two of us continued conversing, we noticed the gentleman trying to take a picture of his wife. Without a second thought, my wife said a line that would change the remainder of our dinner. The amount of joy in the couple’s voices was instantly noticed! They happily smiled for the camera, and even offered to take our picture after. We cheered and enjoyed. That one line sparked a night of conversation about God, religion, faith, and current church issues. The elderly couple (Alton and Loretta) were from the South and were raised in the Roman Catholic Church and discussed how their parish had grown and spun off into sister parishes because of the intense size of the parish. Their current parish size…..8,000 members! As the night continued, we also discussed baptism, chrismation, and the type of “worship” that is occurring in other denominations. It was refreshing to see someone from another church with such vigor and love concerning the church. One of our fun conversation pieces were about language, and how Alton had learned Latin because he was an altar boy, and everything for him was in Latin until Vatican II changed that. I enjoyed our discussion concerning the different service ideas for children and how it’s important to focus on the youth of a parish. It was a great night. We exchanged information and they informed us, that they would be visiting Palm Springs earlier next year, and would love to stop by the Coptic church and have dinner with us again. The next time you are outside, whether at a restaurant, or elsewhere, don’t feel shy to spark a conversation… or ask, “Would you like me to take your picture?” You never know what conversations may come up and how much meditation they can provide. For me personally, there was a spiritual thought that was troubling me that day, and I couldn’t figure out the situation. Throughout the dinner with my wife, and the exchange with Alton and Loretta, the answers that I needed became more apparent to me. Everything happens according to God’s will and timeline. Continuing with this writing thing. I want to write this week about my experience with meeting His Holiness Pope Tawadros II, Pope and Patriarch of the Coptic Orthodox Church. I honestly did not know what to expect. I had been counting down until his arrival to Los Angeles. He has been a pope for almost 3 years now and had not yet visited the United States. Pope Tawadros II came to be our Pope after the thrice blessed Pope Shenouda III passed away. The late Pope Shenouda in his later years had become increasingly ill and his visits to California became very limited. It has been almost a good 10 years since I last saw the Pope. There was much excitement awaiting to see His Holiness Pope Tawadros II. As soon as I arrived to St. Mark Coptic Orthodox Church in Los Angeles, the excitement further increased. There were many priests who travelled from the East Coast. I was able to connect with many priests that I had known when I was a child. I won’t forget the moment His Holiness arrived at church that day. I was so full of joy, so full of excitement that I could not find a way to express my joy, other than by clapping my hands! Traditionally, we try to refrain from clapping our hands in church. I never understood why people couldn’t just contain themselves and be joyful internally without clapping. I couldn’t contain myself (nor could anyone else in the church that night). His Holiness arrived and prayed the Thanksgiving Prayer and the night continued with a small spiritual talk. The spiritual talk was simple and to the point. He spoke about the number 5 and how it refers to strength and power. He spoke that, for us as Christians, we need to keep within our hearts, 5 jewels: my faith, my Bible, my church, my purity and my eternity. We must always keep these 5 jewels in front of us as we live day to day. (If you want to hear the actual sermon, link is provided at the end of the post). I was also able to get my first selfie picture with His Holiness! Over 125 priests gathered for a clergy meeting with His Holiness Pope Tawadros II. I think that was the first liturgy I attended that had that many priests gathered for a Liturgy in one setting! His Holiness allowed for all of us to pray the Divine Liturgy with him. Each attending bishop and priest, prayed a few words of the Divine Liturgy. Usually, in these meetings, it’s a choppy liturgy as you wait for each person to approach the altar and pray their portion. But regardless it was still a great sight to see that all of us were gathered together and praying in one spirit. His Holiness gave a sermon that day on the gospel reading (Luke 11:53-12:12). The Gospel reading mentioned sparrows and he explained that a bird needs two wings to fly and that we also need two wings in everything in our spiritual lives. We need both the Old and New Testament when it comes to our Bible. We need both the Sacrament of Confession and the Sacrament of the Eucharist. We can’t have one without the other. There are many more examples that His Holiness provided which are provided in the links below for more listening. It was a long day, but fun-filled nonetheless. I attended the English Youth Meeting that night with His Holiness. I was on the stage, off to the side, sorting through all the questions that were being sent to him. We decided to use a different system of accepting questions, rather than just using pieces of paper each time. It was decided to have everyone text their questions to a certain phone number to make the process easier and quicker. That night, I had to filter as quickly as I could through 400+ questions! Another priest, Fr. Gregory Bishay, was there to translate all the questions and answers from His Holiness to the youth. It was a funny night watching the two of them interact, as there were many funny jokes about translation that night. Many of the questions that came up were in regards to our spiritual life and celebration of the feasts. His Holiness mentioned to us that he has proposed to Pope Francis to work together on setting a fixed date for the Feast of the Resurrection. It was refreshing to hear the churches working to unite to celebrate together. I do want to highlight on another observation that I saw that night. There was a group of youth (part of a band) who were singing worship songs. But, I noticed in the room that no one was taking part or singing along with them. Although the words were on the screen, no one participated. Shortly after, I noticed that a decision was made to start singing the hymns of the church from the Midnight Praise. Suddenly, the room got quiet and everyone started singing the Coptic hymns of the church. We didn’t have the hymns on the screen for anyone to follow. Most people pulled out Coptic Reader and read from there. I am not here to start a mini-battle about praise, worship, hymns, or songs. I just want to state an observation that I saw and pretty much “put it out here”. By the grace of God, I wasn’t sure if my schedule was going to allow me to attend the last event that I would personally be able to see His Holiness at. But, everything worked out, and I was able to attend. It was a day of full of blessings. The presence and blessings of His Holiness Pope Tawadros II had a great impact. CST (Claremont School of Theology), CGU (Claremont Graduate University) and ACTS (St. Athanasius and St. Cyril Coptic Orthodox Theological School) all signed MOUs (Memoranda of Understanding). This signing would now enable all our ACTS students and graduates to take courses in CST or CGU, have access to the libraries including the Ernie Tune Coptic Collection, as well as to pursue advanced masters degrees in both universities. It was a big step for the ACTS theological school. My family and I were also able to snap a few memorable pictures with His Holiness. Overall, receiving the blessings of His Holiness during that week, though it was hectic, gave me a renewal again. There was no time for in-depth, one-on-one conversations during this visit. But, just the sheer fact of being in his presence gave comfort. His Holiness has this calmness that surrounds him and to be near him, to see his interactions, hear his sermons, you realize that as his name “Tawadros” means, he truly is a gift from God. I hope we get to see him more often and take his blessings soon again. For those who were unable to attend, I have attached a list of a few of the video feeds that I could gather. Welcome to my personal blog, and no, I do not have the intention of this being “just another WordPress blog“.